Are you looking for Kartra pricing? The table below shows how much Kartra costs and the complete Kartra pricing plan. 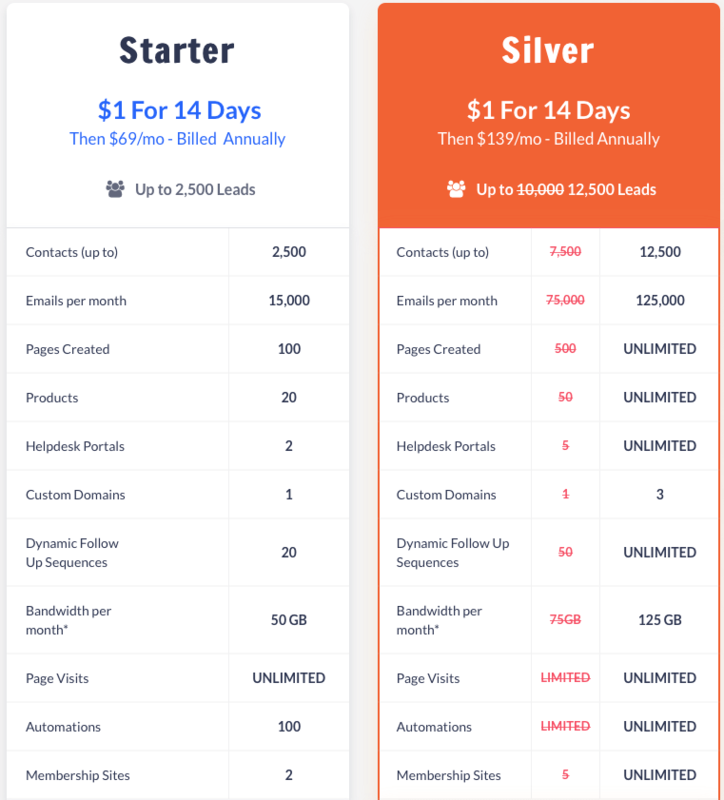 You will see that the entry-level product starts at $69 per month which allows you to have up to 2,500 email subscribers, be able to send 15,000 emails per month, have 50GB of bandwidth and 1 linked domain (more domains cost $10 per month each). What you also get is access to all the Kartra academy and the "Kartranaught" training modules included in the monthly price. These prices are updated in 2019. Click here to see my video reviews and get my ground breaking $997 "24 hour ranking System" For FREE. *If you prefer to pay month to month for Kartra, the cost is $99 per month for Starter and $199 per month for Silver. There are higher levels available for people with larger email lists. These are covered later in this article. If you want to save some money by paying upfront for Kartra for 2 years, Kartra is now offering discounts so you can get Kartra for as little as $59 per month for the Starter package. Details are at the bottom of this article. Quick disclaimer – this review does contain affiliate links to products that I recommend. I only recommend products that I have used and that I think could be beneficial to your business. I receive a small commission if you click on any of the links and sign up for the product or service, but that doesn’t increase the price and may sometimes include special discounts. What is included in the Kartra pricing plans? Behavior Adaptive Marketing* which allows you to tailor your web page to your visitor. Karta Value – What Can Kartra Replace? This was the first question I asked after I went through the marketing material. It is a good way to measure how valuable Kartra could be to your business. I started to do the sums. Here are a few examples of what you will no longer need.. However, if you add up all the above products you are looking at a starting cost of almost $250 per month. Kartra Pricing for Starter is $69 per month! That is a saving of over $2,000 per year. Note: If you are on a limited budget and are not sure if you will need all of Kartra’s features, I recommend Leadpages $37 per month (or $25 per month if paid annually) and ConvertKit $29 per month so you have landing pages and email automation covered. If you are confident that your business is making money, I recommend you use Kartra from the outset to avoid having to migrate pages and email sequences at a later date. This is the area where I have spent most of my time. I am a big fan of Leadpages, mainly because it is so simple to use. However, Kartra’s Landing Page Builder is equally easy to learn. I have put together a quick training video, which shows you how the Kartra Landing Page Builder works. It is worth pointing out that this video is hosted in Kartra and uses Kartra’s video player to display the video, which brings me on to the next section. If you are looking for a great place to design and host your Website, you chttps://www.silentearning.com/list-build-video​Click Here to watch how to use Kartra to build your email list​​​an use Kartra for this, as many people have. Many people are hosting their Website on Kartra using the prebuilt website templates. It is much easier than battling with WordPress, leaving WordPress to do what it was designed to do – host your blog, if you have one. Having an email list is one of the most important assets any business can have. With Kartra, you have pre-build funnels to build your email list and powerful email sequence builders to ensure you keep in regular contact with your email list, automatically. You can segment your email list according to their actions. If they open specific emails, click links or make a purchase, they can be added to or removed from a particular sequence. If you use videos in your marketing or you are looking for somewhere to host a video-based training course, Kartra has this built in. You can upload your videos into playlists and categories which makes them easy for you and your audience to find. Again here is a quick video tutorial showing you how to upload a video to Kartra Video Hosting. There are alternative course hosting platforms. Teachable is one I particularly like. As a standalone product, I would say Teachable has the edge over Kartra. It is designed for a purpose, but you still need all the other things that Kartra includes like landing page and email automation tools. Another cool feature included with Kartra is the ability to set up products for sale. This can be products you deliver electronically like paid courses or physical products you ship to your customers. You can set up pricing and recurring membership payments and integrate with forms and landing pages as part of a sales funnel. It is also possible to manage affiliates who will promote the product for you in exchange for a commission. Want to know more, please check out my video overview below. Kartra Pricing Includes Membership Site Features. If you offer a membership plan to your customers, Kartra can manage this for you. You can set up different membership levels within Kartra and grant access to resources according to the plan your customers have signed up form. This is just scratching the surface. Kartra has so many built-in features that it is difficult to cover everything out of the gate. What I have found is that is it all very easy to set up. You don’t need to pay $$ setup costs like with some other marketing platforms. Please check back over the next few weeks as I will be adding more Kartra tutorials and reviews of the different Kartra modules. In the meantime, if you have seen enough to make you want to give Kartra a go click on this link to sign up for a $1 two week trial and get access to the Kartra launch promo discounts. Again, 1 and 2-year discounts are available. Kartra has the potential to really shake up the online marketing space. It completes with existing marketing platforms such as Infusionsoft, Clickfunnels, and Kajabi and is competitively priced. It also combines the functionality of several standalone products as I presented earlier in this article, but at a much lower price point. Where I believe it has the most to offer, is in the small business space, especially businesses that have strayed away from online marketing because it appears overly complicated and expensive. The thought of learning several different software tools or, worse still, hiring experts in each, has put many business owners off. 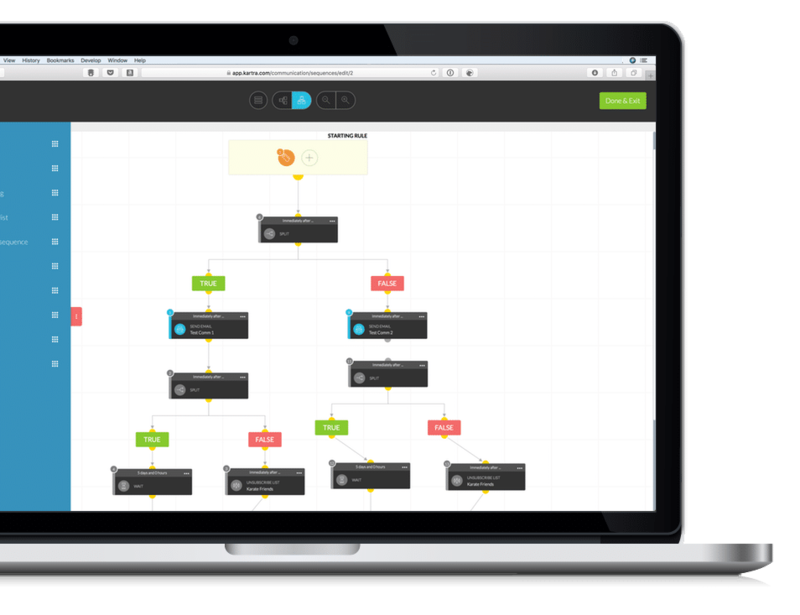 Kartra, with its common interface and workflows, takes away much of this complexity. If you are a business owner, who is on the fence about getting into online marketing, I recommend you give Kartra a go. If you do, please drop me a note in the comments section and I will send you my “Online Marketing for Offline Businesses” course, free of charge.